The GP series is a ceramic particle filled silicone rubber based filler with 1.2 – 11W/m-K thermal conductivity. The thermal jelly material is a thermally conductive particle filled silicone jelly with high conformability and thermal conductive properties. It is a pre-cured, auto dispensable thermal interface material designed to replace conventional thermal conductive gap filler pads. This jelly does not require mixing and curing, auto-dispensing process can reduce the assembly time and cost, which make the design more flexible.With ultra soft properties, this jelly can easily deflect under very low compression face and will fill voids and even surfaces. This material will also wet out matting surfaces in order to efficiently transfer heat from components to the heat sink. GP-IPXXXX is a thermal conductive insulator pad with fiberglass-reinforced material. CPXXXX is an advanced thermally and electrically conductive pad. Multi-layer forming provides flexible solutions for the most complex thermal management requirements. This process combines similar types of silicone material with various hardness levels, adhesion and rebound forces; allowing for multi-layered physical properties while maintaining consistent thermal performance. 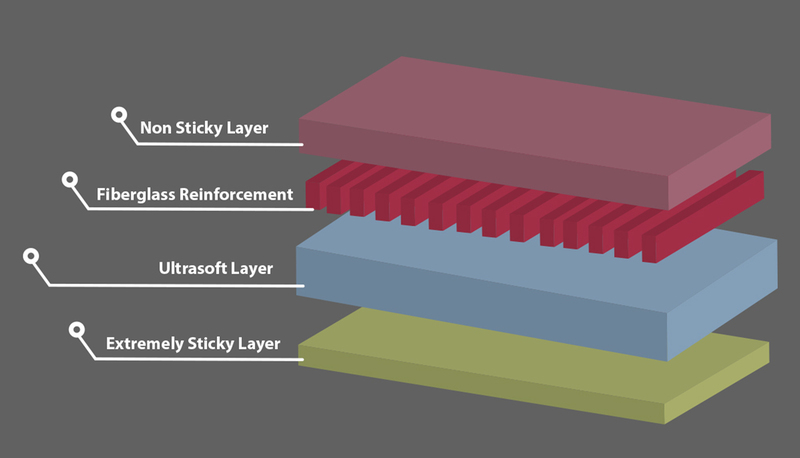 Multi-layer technology provides an excellent option that will reduce cost, but not performance. It is suitable for all thermal pad applications greater than 0.5mm and provides an ideal solution for Ultrasoft and high tensile strength applications.